A great pair of sneakers is an absolute must in every wardrobe, it’s a closet staple if you will! Especially when sneakers have come a long way from back when they were solely worn to hit the gym or to play sports to now when they are seen anywhere and everywhere, even at a fashionable outing. 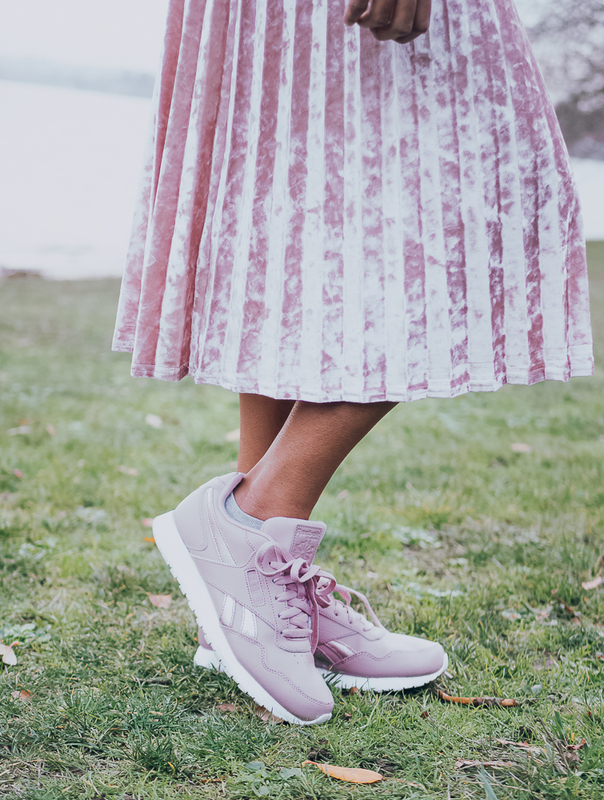 One such pair of sneakers that I am totally obsessed with, which I can wear to just about any occasion are these cutest and comfiest shoes from Reebok. I ordered these fashion-forward Harman Sneakers online from Famous Footwear and they have been my go-to pair ever since I received them in the mail. I wear them to meet friends, to grocery shopping, when I take my babe for a walk, I mean just about everywhere. 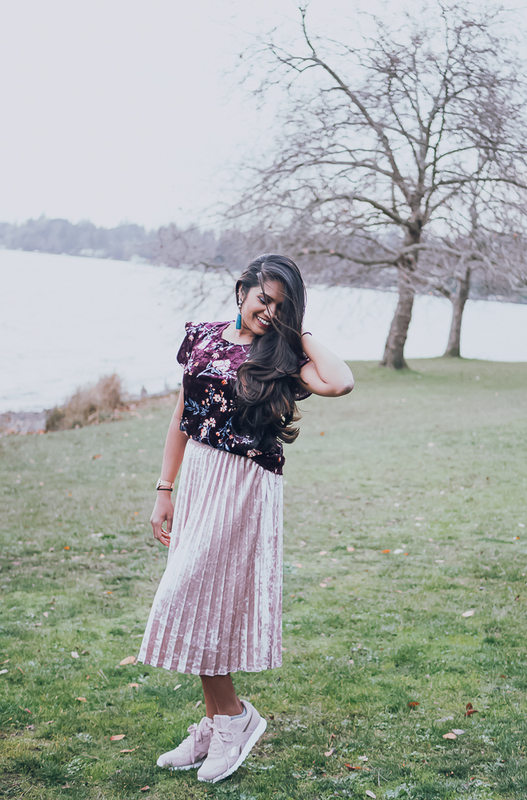 And they go perfectly with any OOTD (Outfit of The Day), especially given the trendy rose gold color (which I am obsessed with BTW) of this pair. 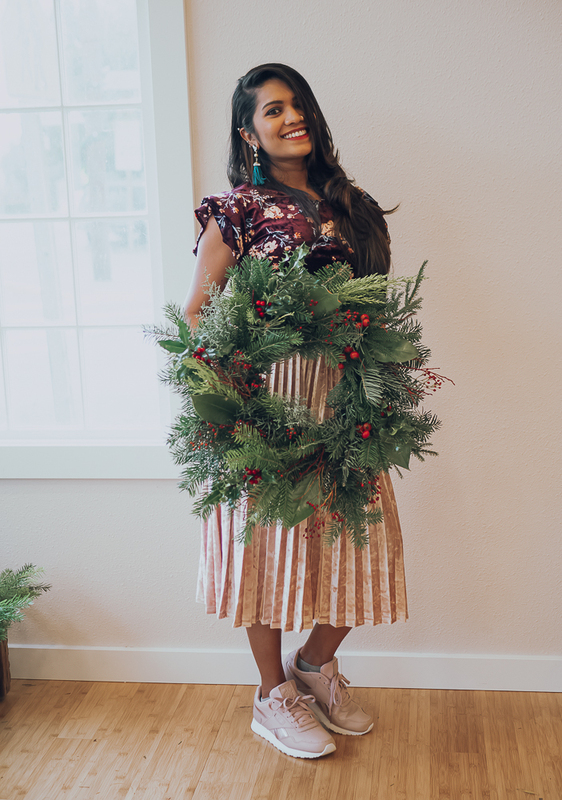 This past weekend I wore these sneakers to a wreath-making workshop, followed by a stroll by the lake with my family, followed by shopping at Costco - and my feet didn’t hurt or ache even after wearing them for an entire day. Now you might say ‘what’s the big deal about a good pair of kicks?’ But here’s my real problem - my shoe size is 8.5 (I know, hard to believe given my height) and I have wide feet, which means it's not always easy to find a perfect pair of stylish sneakers that don’t look bulky + won’t cause me pain after wearing them for a couple of hours. But these Harman Sneakers run true to size and they don’t suffocate my wide feet. They have just the right amount of padding and cushioning, without making it feel heavy. These are definitely one of the most comfortable pair of shoes I have ever owned, so yes, looks like we have a winner (and hence the happy twirl)! They are called classics for a reason eh! 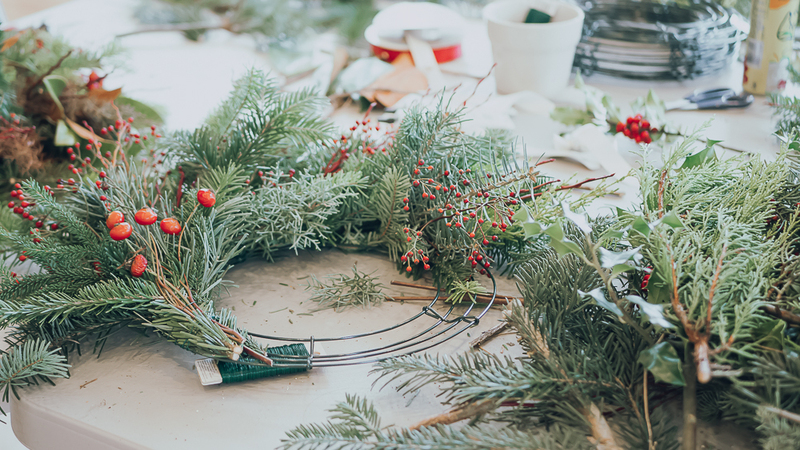 And talking about wreath-making, having never made wreath before I was pretty excited to attend Tammy of FirstandBloom’s workshop this past weekend. 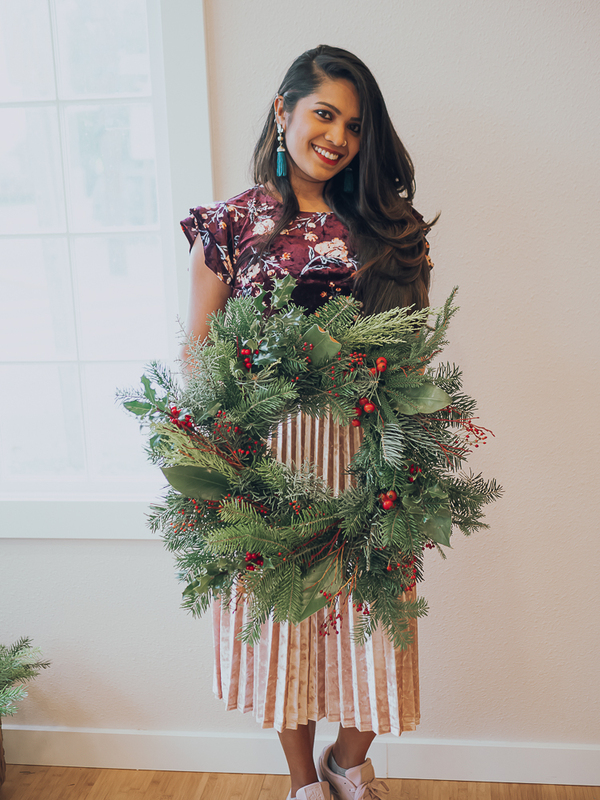 You already know my love for her and her craft (read more here and here), so attending one of her workshops was something I had been wanting to do for a long time, and so glad that I finally took the time to do so. 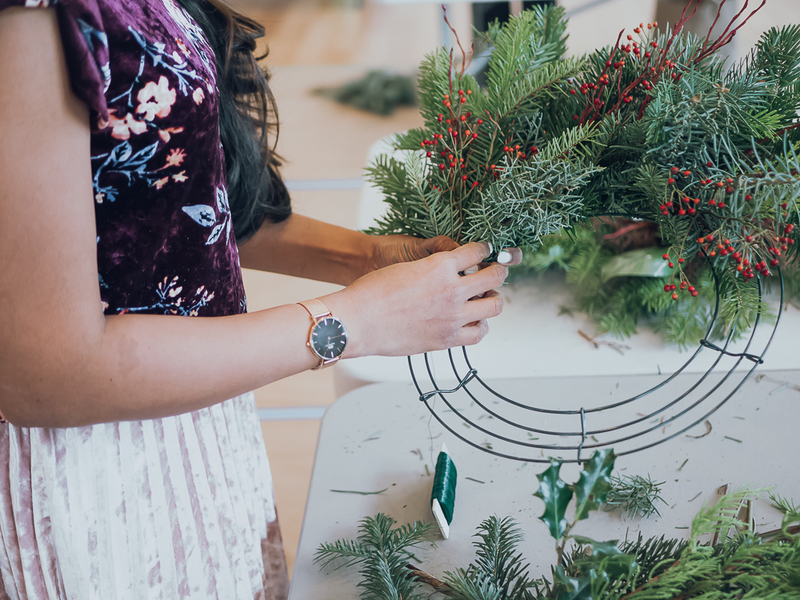 The workshop was super fun, the ladies who attended the workshop made such beautiful wreaths that it was hard to believe that it was most others’ first time, too. 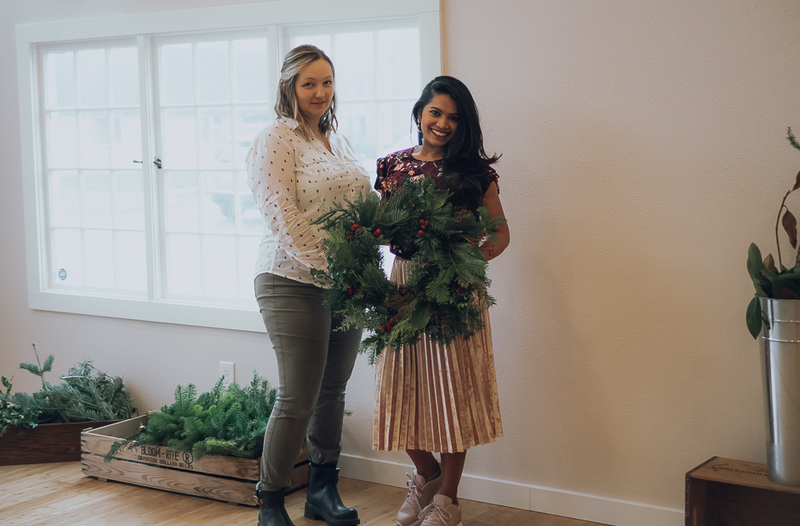 I would attribute most of how pretty our wreaths turned out to be to Tammy; it was all because of how easy she made it for us to learn + the variety of fresh and fragrant supplies she had sourced from local farmers. I seriously can’t believe I made this! That too in under 45 mins!! 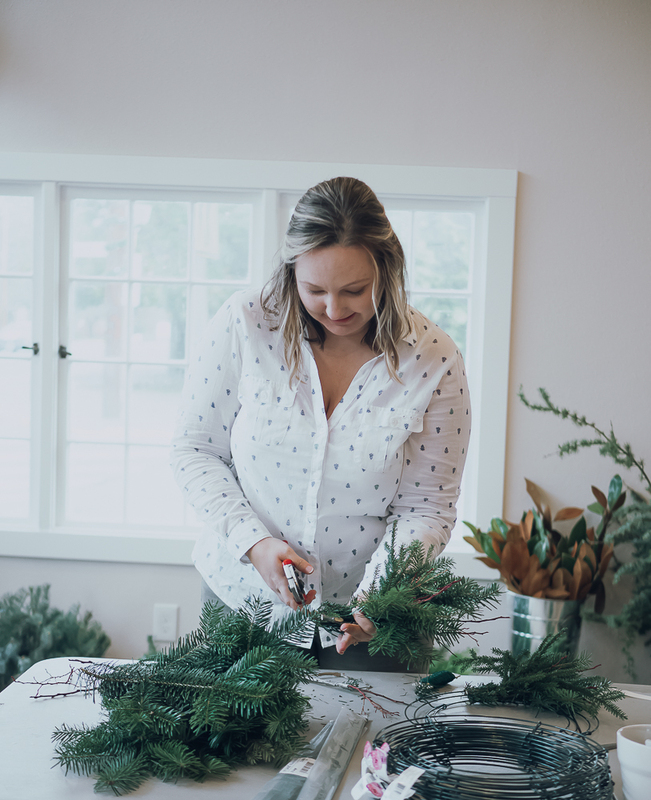 If you are local, then I highly recommend that you signup for one of Tammy’s floral workshops, she runs quite a few around the year.